It just doesn't get any better than this! Clear sky, cool, no wind. Food Service Crew - It's all about the volunteers - Charles, Rick, Linda and Gary. Great Job! Registration Support Chuck and John. Frank starts the morning off with the pilots' meeting. Great turnout with 68 pilots and lots of aircraft. A major sponsor of the event was Mercury Adhesives. With the number of planes the flight line stayed busy all day long. They started setting up early. Keith's Super Chipmunk helps advertise one of our sponsors "Mercury Adhesives". One of many group Hovers. Keith shows off his scale Super Chipmunk. Keith does a loop around the moon for the camera. The "Wild Hogs". Gary, Jim, Jack! 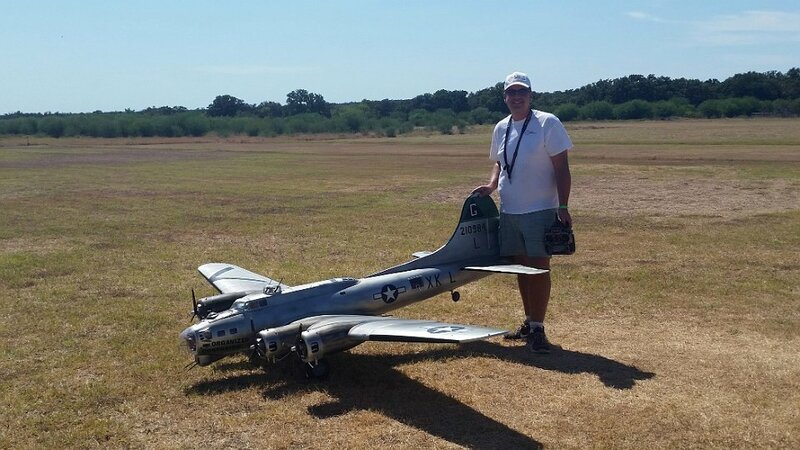 John Hlozek with his 126" Slick 540 from 3D Hobby Shop. Mel Holtman's 260 Comp ARF. 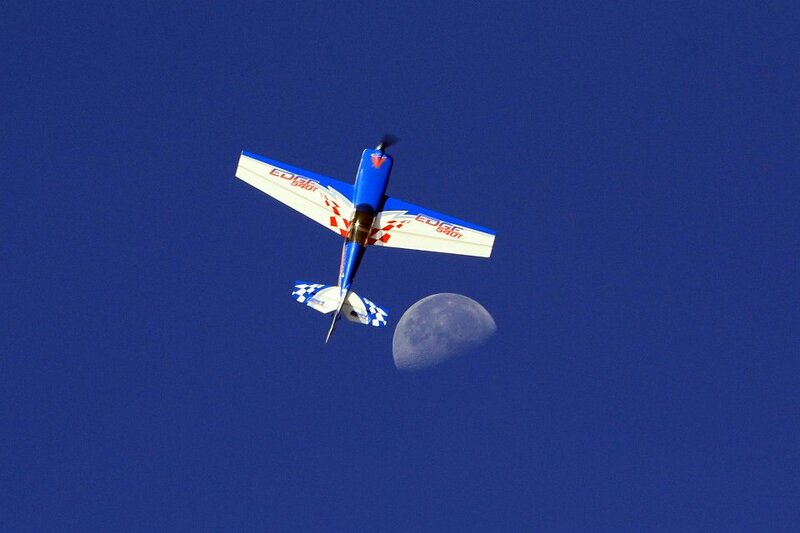 Joe shows total control of his plane as he performs some interesting maneuvers. Joe was the first to put his plane on the Moon. Joe Puentes brings his plane down to a very very low hover. During the memorial at noon, Jim Rice shares the names of the pilots we have lost in the last year. 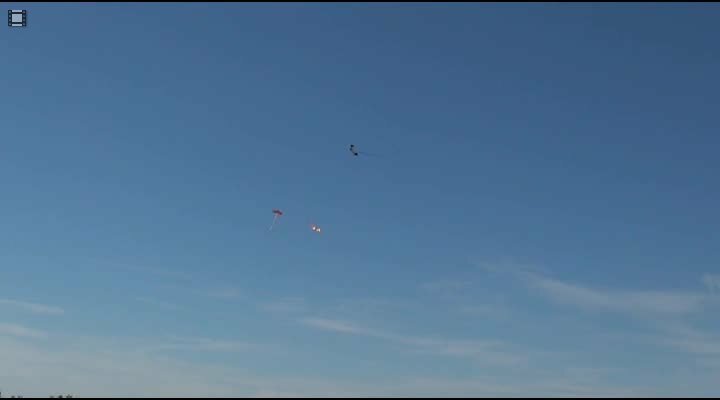 Randy Brown performed a solo flight in memory of the pilots that are no longer with us. Matt shows us the wingspan relative size of his "Weekend Special"
Matt's plane looks great in the air! 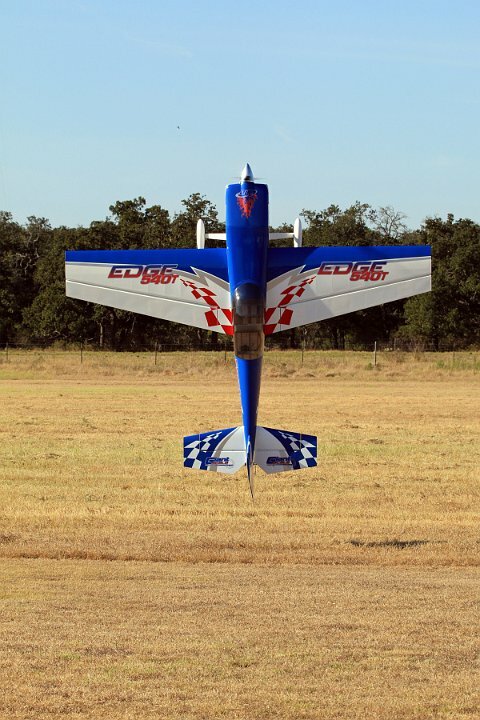 Newly released Eflite Carbon Z T28 from Horizon Hobbies. 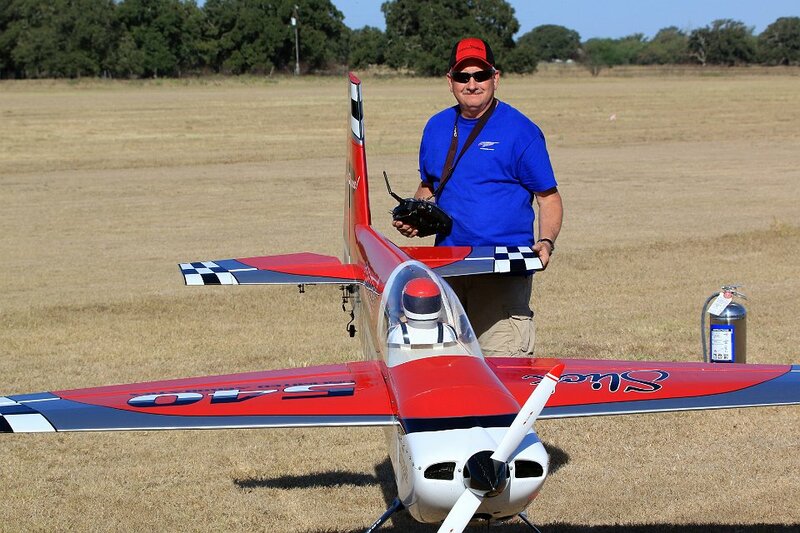 Rick Martinez shows off his Carbon Z Trojan T28. Red's Raiders BBQ Team. Best BBQ in the West! 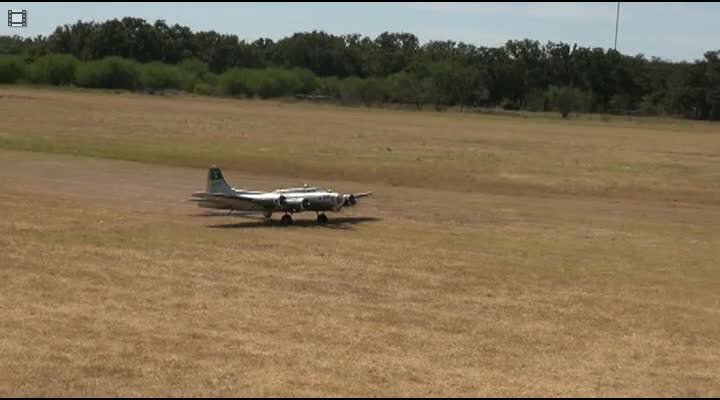 VIDEO - Flight of Gary Smith's B17 "Organized Confusion". Flight line stayed busy all day long. Randy screams across the runway with his P51 "Big Beautiful Lloyd 2"
Greg follows Randy with his P51 "Big Beautiful Doll"
Randy does an inverted pass over the runway, but the crowd yells "Lower, Lower". Randy does it again so low you can see the grass blowing up. A real crowd pleaser! 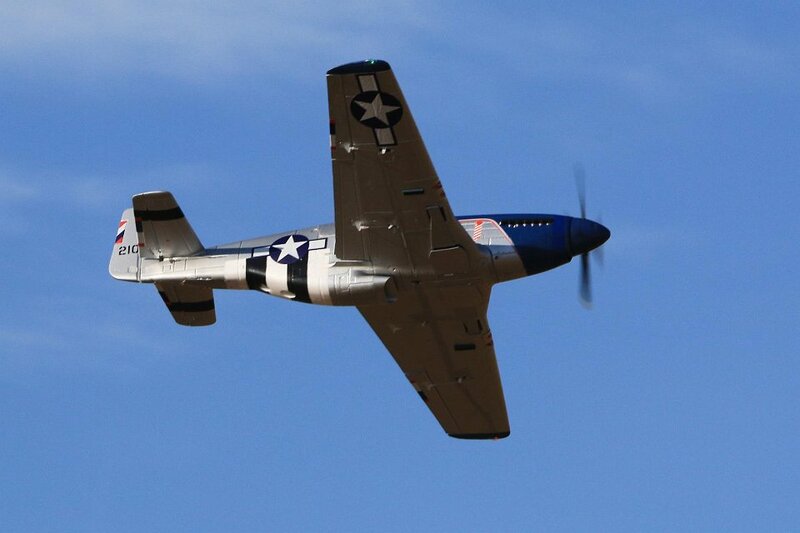 Ed Vales shows off his P51B. 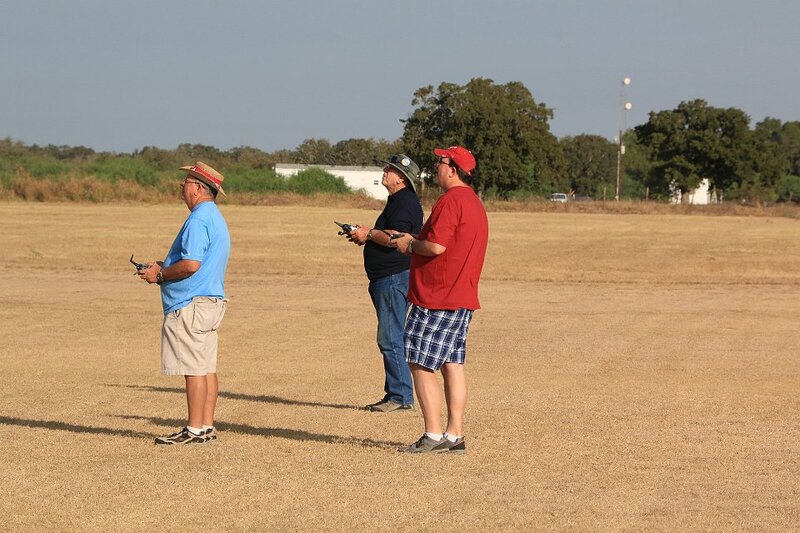 Jaime Ramirez and Luis Flores had a few flights with the Cessna 182. Pablo Rivera shown here with his "Giant Eagle 2"
Pablo shows off his Giant Tiger 60 Double. Rick Martinez with his Giant Super Sportster. Gary Rice's U Can Do 50. Ignacio "Nacho" Pulido with his Giant Aeromaster. The remains of Corey Johnson's P47 after the crash but repairable. 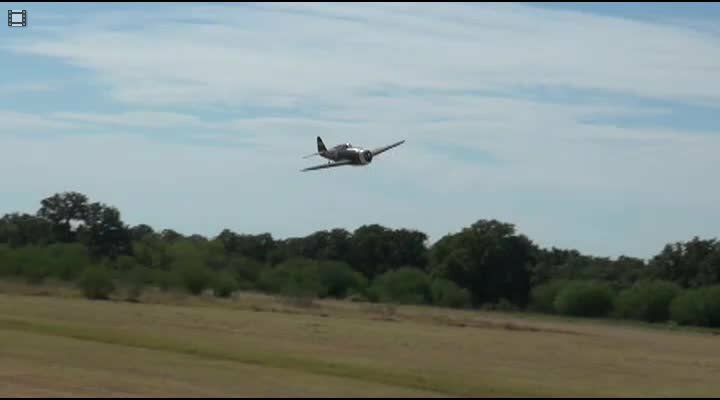 Chuck Hochhalter makes a low pass with his Top RC Model Spitfire. NOT a good way to fly your model aircraft.